Conner Greene went a combined 4-5 with a 4.09 ERA with Triple-A Memphis (AAA) and Double-A Springfield last season. 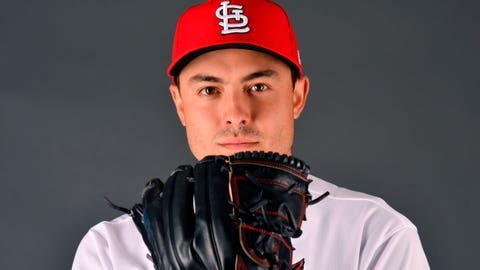 The Kansas City Royals have claimed right-hander Conner Greene off waivers from the St. Louis Cardinals. To make room for Greene on their 40-man roster, the Royals designated right-hander Burch Smith for assignment. Greene, 23, went a combined 4-5 with a 4.09 ERA in 40 games (10 starts) with Triple-A Memphis (AAA) and Double-A Springfield last season. He also pitched for Surprise in the Arizona Fall League, going 0-2 with a save and an 11.17 ERA in nine relief appearances. Smith, 28, spent all of last season with the Royals after being acquired in the 2017 Rule 5 Draft. Smith went 1-6 with a 6.92 ERA in 38 appearances (six starts).